This past year has seen new tech come in and out of our lives as fast as we can get through the revolving doors at KTM’s new shopping malls...and with most of us (being the fickle consumers that we are) opting for new technology that makes budgetary sense over tech sensational. Take for example Microsoft’s miserable attempt this year at introducing a smartphone geared for teens. 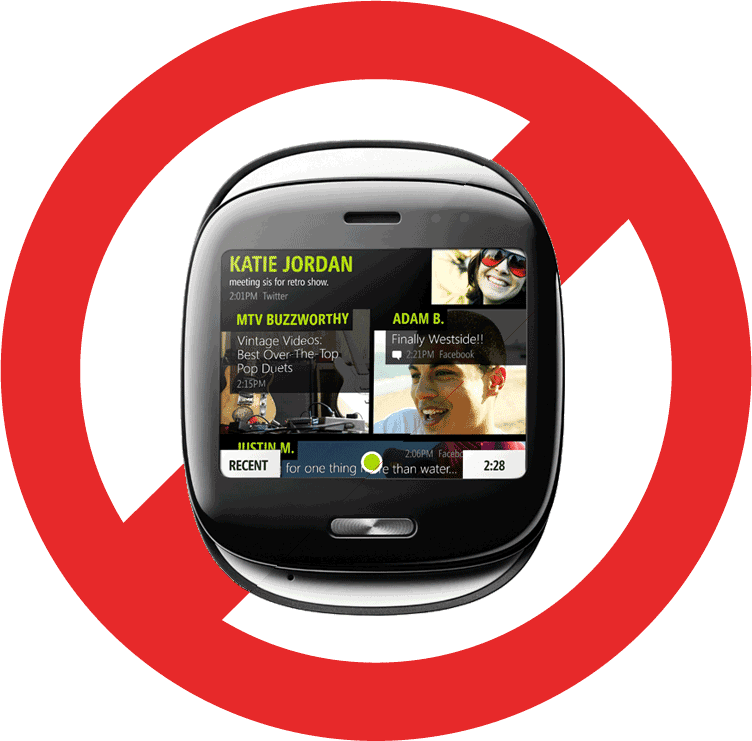 The Kin was a scaled down phone that had tight integration with Facebook and Twitter, two of the most popular social networking tools of 2010, yet the US release and then cancelled European release make this the biggest fail of 2010. Even teens today are smart enough to know that a phone that can’t play games or run apps is over-priced – no matter what the cost! The Kin is in sharp contrast one of the biggest hits in 2010: phones running on the Android operating system, with that software designed by search giant Google. Hundreds of thousands of Asians per day are activating Android-based phones, and over 55 million new users were added in 2010 alone. This was a big win for Google, even though Android’s big brother “Chrome” seems doomed. 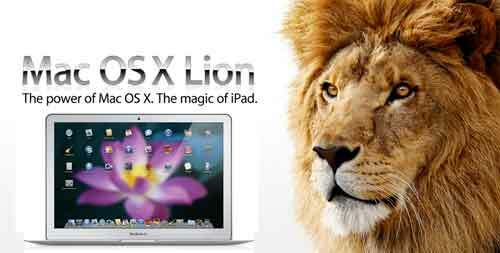 Chrome is an operating system geared for netbooks, which were eclipsed this year by Apple’s introduction of the iPad. So in other words, Google Chrome is most likely DOA for 2011. The impending death of Chrome is directly related to the decline of netbook sales, which dropped dramatically in 2010. Once upon a time (just 18 or so months ago) netbooks were considered a viable alternative to shoppers needing a laptop, or for those with light computing needs, such as getting emails and using the web. Once the best new tech of 2009, netbooks are passé with netbook sales “halved” by Apple’s iPad sales, says Best Buy CEO Brian Dunn. In 2010, the iPad became king of devices for surfing and consuming media of all kinds, albeit without being able to display Flash from popular websites. Despite this limitation and the iPad’s high price (over $500 USD), Apple has sold over 7 million tablets in just twelve months (with a 95.5% market share) and with no other manufacture coming close despite last minute attempts during 2010 to catch up. For example, the Viewsonic “G” tablet was pulled from store shelves when it was discovered that the graphics display processor was not up to the job, and customers were totally disgusted with this tablet’s performance. Yet 2011 promises a boatload of other iPad-like devices, with most having more features then the original success story and with a much lower price tag. In sharp contrast to 2010’s iPad and iPhone 4 successes – the iPhone 4 introduced in June sold almost 3 million in just 3 days – there have been a slew of tech gadget disasters, with the Cisco Flip Slide HD pocket cam being high on the list. This over-priced addition to the popular Flip HD line of camcorders is a big fail for customer’s inability to figure out how to use it, coupled with an insulting $250+ USD price tag for a camcorder that shoots mediocre HD video at best. Other failures with 2010’s enlightened consumers include Google TV, which represents a cutting edge tech idea that hopes to merge the Internet with normal TV viewing. Hard to classify as a device, and even harder to use, you can find Google TV built into many Sony TVs and Blu-ray DVD players. Logitech also has the Revue TV product (Google-driven) that attempts to combine web videos with TV channels, if you can ever figure it out. This product was clearly brought to market ahead of its time, which perhaps is just around the corner. Like Internet TV and cheaper tablet devices, 3D TV sets are starting to pop up in showrooms around the world, and even here in Nepal. It’s hard to say whether 3D TVs like the Samsung UE467000 and associated 3D glasses SSG 2100RB will be a hit or a miss...it’s too early to tell, as early adopters are a bit shy about criticizing their $2000+ USD investment, and there just isn’t that much 3D media out to view. But for folks that can’t focus their left and right eye simultaneously on any given spot (2 to 3% of the population at large), 3D tech today just won’t work, and for others, headaches or other eye strains could occur; consult your physician if in doubt, so says the manual. And for those that had more bucks to spend on gadgets in 2010, one hit in the Canon ballpark was the Canon G12 compact point-and-shoot, as this is a semi-professional camera that includes HD video recording at 720p with manual focus and RAW processing. I use the earlier prototype, the G10 introduced in 2009, and this class of camera is the next best thing to a much more expensive, larger and heavier DLSR. The G12 fits in a small purse or a very large pocket, and is built like a little tank, producing superb digital photos and movie clips. Well, that’s this year’s roundup of best and worst tech, with 2011 sure to bring on even more amazing products and equally amazing duds. In 2010 we saw one clear game-changer, the iPad, and 2011 could also be another year that produces a revolutionary product...can you guess what that would be? read more "ECS: Best and Worst Tech in 2010"
While the best new tech in the world this past year has clearly been the introduction of Apple’s iPad, in Nepal, these game-changing devices have yet to reach our borders in any mass consumerist way. Of course, like the iPhone, they are around - but smuggled into the country via the RNA baggage express. So my nomination as “Best Tech” this year has to then go to the set of phones sporting the Android operating system that have somehow managed to reached our landlocked IT island known better as Nepal. But just what is Android you may be asking - if you have been living under a technology rock! 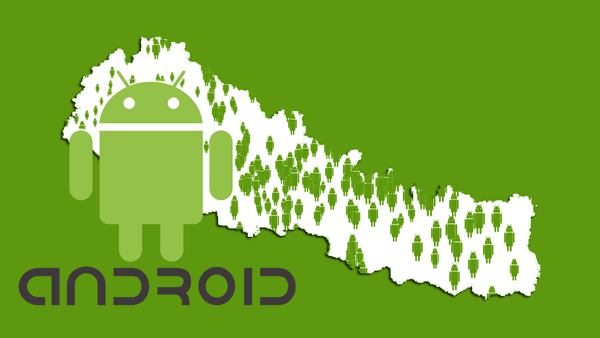 Android is the system that runs many of the popular phones now being sold all around the valley. To put that into perspective: the iPhone runs on iOS, Blackberries on Blackberry 6, and Nokia uses the Symbian operating system. A phone operating system is much like a computer operating system (think Windows XP or Linux), and is ultimately what gives you the features and functions that you may already take for granted on a smartphone, like having a music player, a camera roll, a calendar and to-do list, and a web browser for surfing the web while on the go. What operating system that you have on your phone determines just what you can do, while all of today’s phone operating systems do the basics, like provide a way to play games, consume media, and do just about anything besides making a simple phone call. Android is a fantastic OS for today’s generation of smartphones: lightweight, feature rich, and extensible. Yet this openness in regards to phone manufacture’s customizations is causing problems in the marketplace. For example, you may buy a phone using Android version 1.6, and then find out that your phone won’t support the latest version, which at time of press, is 2.2. But this is mostly a problem for technogeeks - if you are happy with your phone, then why worry? The few differences between an iPhone and an Android phone are becoming slimmer every day, for example, there are now over 200,000 applications in the Android Store, which is much like Apple’s App Store for iPhones, only Apple’s store is larger in scale and more expensive to use. The Android Store has not been able to sell phone apps like Apple has done to such mega success, so most Android apps are free, and sponsored by in-app advertising. But that should not be a problem for Nepal’s phone-app users, as we are more likely then not to be on a tight budget, or without an international credit card and access to the iTunes store anyway. As an occasional Android user and an iPhone owner, I find little difference between the two operating systems when it comes right down to it; both do the same cool things, and very well. But as a dedicated Apple computer user, I find the iPhone fits into my workflow perfectly, and I doubt I could be as productive using an Android phone full time. For PC users, my guess is that an Android phone would be easier there for perhaps the same reason. But with over 300,000 Asian Android phone applications per day, you would be in good company if you decide that Android is for you, and if contemplating a purchase in early 2011, the most popular models being sold right now are the HTC G-series and Nexus One, and the Nexus S and Galaxy S made by Samsung. As you may have heard, the Android operating system is also being used in a bucket full of new tablets now out now - with tons more to follow in 2011. Following Apple’s lead, Google has positioned their phone OS to also work on tablets that function just like the iPad, sans the fruit logo. So if you have and like an Android phone today, you’re gunna love what’s coming out tomorrow, as Android tablets will have big screens and fast graphics processors, and will be able to run your favourite phone apps as well. read more "TECH TALK: The Best New Tech Into Nepal for 2010"
I’m not much of a phone gamer, but when I first tried Angry Birds from RoviMobile, I immediately understood why over 50 million people have become hooked overnight on this super silly pastime. 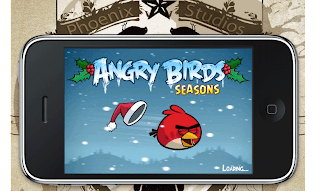 Angry Birds pits some nasty squawking birds against a pigpen filled with noisy grunting pigs in a multilevel phone game that works both on iPhones as well as most other smartphones. Basically, you use your finger to slingshot multitudes of angry birds at ever-changing pigpen structures in order to explode evil pigs in classic arcade fashion. The plot of this puzzle game is thus: evil pigs have stolen the bird’s eggs, and now the birds are pissed off and fighting back. But the premise of the game is irrelevant, as this game is just flat out engrossing from the very first finger stroke. The graphics are appealing for all ages, and the soundtrack just makes you want to LOL from the very first shot fired. There are dozens of levels to unlock, and I gave up after level 15 or so, as the game complexity increases infinitesimally to the point where I suspect only diehard gamers (or dog-determined youngsters) would care to continue. But what I found really amazing about this simple game is the amount of money made by creative game developer RoviMobile, and the resulting spinoff of attention this game is receiving. Development costs are estimated at just $100,000 USD, and revenues after the initial release range between 40 and 50 million USD. A special Halloween and a Christmas edition have been produced, and there are rumors of a movie or cartoon TV show in the offing. For diehard fans and infants, there is even a collection of stuffed toys for sale online. This awfully addictive and silly game works on the iPhone/iPad platform, as well as Android and Nokia phones. For Blackberry users who need to waste some time as well, a version is expected out very soon. read more "ECS: Angry Birds Review"
TECH TALK: So What's New - in Nepal? Harilo? I covered that website in a previous Tech Talk, and if you caught that review you should remember that Harilo is a new Nepali website that allows you to order anything online from the States, and get it delivered to your KTM front door - for an average 25% mark-up that covers shipping, duty and a small profit for the Harilo folks. Apparently Harilo has really taken off, as even my Nepali bhini recently ordered and received a pair of cozy Ugg boots from Amazon.com, via the Harilo ordering system. So anyway, my pal is waiting for his Magic Trackpad, which is Apple hardware that works with any kind of computer, and is geared for those still stuck using a desktop computer, but that want to take advantage of all those cool trackpad gestures that laptop users now take for granted...like swiping, scrolling, and rotating without the use of any buttons or wheels. The Apple Magic Trackpad is a multi-touch trackpad just like the ones built into high-end Apple laptops, but is now a separate component that connects to any PC, and wirelessly through Bluetooth. If you are familiar with Apple wireless devices like the Aluminium Keyboard or the Magic Mouse, you will know how fantastically these devices connect, and stay connected until your two or three “AA” batteries die. The Magic Trackpad runs a few weeks on a set of two batteries, with rechargeable batteries recommended. And like all other Apple products, this one looks and feels like a shiny little precious bobble, with an all aluminium and glass design – no buttons, no plastic, and very few seams. The Magic Trackpad also has that trademark Apple price – high – at $69USD. I already own a Magic Mouse, which is Apple’s newest wireless mouse that has a multi-touch trackpad built right into the top, and this unit looks and feels more like a glass bar of soap then a computer mouse. I am completely hooked on using the Magic Mouse’s trackpad features on every computer I sit down in front of nowadays – you can’t beat scrolling up and down through web pages with a swipe of your forefinger over smooth glass, and scrolling left and right through a video clip in the same fashion. The Apple Magic Mouse is hardware that resembles a piece of art, and costs as much: $69USD. Yet I consider that $69 the best spent in 2010, as I don’t ever see myself using a mouse with less multi-touch features ever again. The MultiSeat Solution consists of a box that looks like any other newer HP desktop box, but comes packaged with as many “seats” that you need. A “seat” consists of a thin-client blackbox, 17” monitor, keyboard, mouse and cables. So for example, a school can order 8 seats for their computer lab, and they get 8 computers in one, sort of. All the seats in the system are running off of one server box loaded with RAM and a beefy dual-core processor, and at the heart of the system software-wise is the latest version of Windows Server 2008. The entire setup can be configured in minutes, as it’s all plug and play USB connections, with just one Internet line needed into the server box to give all the seats a bit of Internet. Every user of the system first creates an account (just like you would do in Facebook) and the administrator of the MutiSeat Solution has complete control over what applications each user has access too, and even what websites each user can reach. The admin, or teacher in this case, can either have all seats see just what the teacher sees on his or her monitor, or have the students work independently. And the price per seat? Well, my pal left a sales presentation with me that indicates that each seat costs between $300 USD and $350 USD, depending on options selected for the server box (i.e. RAM, CPU speeds, hard drive size). That is all inclusive of everything, including a 3-year replacement warranty on anything that breaks or frazzles. The benefits from such a system are immediately apparent: low price per user, low maintenance (as compared to say maintaining 6, 7 or 8 separate laptops or desktops), and perhaps better performance then having that many computers running over a slow or wireless LAN. All in all, I was slightly impressed, but then again, only things made of aluminum with a fruit logo prominently displayed are going to turn my tech crank. So that’s what’s new from where I sit - what about for you? read more "TECH TALK: So What's New - in Nepal?" I started to write this week’s column on CES 2011, the largest American consumer electronics show put on each year in the swinging town of Las Vegas Nevada, and featuring such IT moguls like MS CEO Steve Balmer and Cisco CEO John Chambers as keynote speakers, but I started to bore myself to tears just typing out the review. After all, how relevant is the Ford’s new electric car to the average Nepali? For example, the announcement of the Blackberry PlayBook, an iPad-like tablet targeted at corporate wonks, won’t excite Nepali businesses still using paper records and ancient desktops to conduct business, will it? And who needs a vegetable scale in a Nepali kitchen that runs off an iPod and an app from the iTunes Store? And I could be wrong, but will a new electric car work in KTM where the hours of power per day is dwindling down to just a few? Likewise, LG’s announcement of smart refrigerators that sport LCD displays and internet connections for tweeting recipes probably won’t excite anyone at all in the New Nepal, no matter how new that may be. So for me, discussing the announcements (mostly a slew of new Android phones and iPhone cases / docks) just seems irrelevant in light of our inability to keep a simple dumbphone charged during the current loadshedding schedule. However, being at a large trade show like CES can be fun, as you would get to see celebs like Lady Ga Ga introduce a new Polaroid camera. But what I remember about American trade shows is that they are great places to fake work while all you are really doing is collecting squishy toys, pens, coffee cups, and t-shirts handed out at all the exhibition booths. At least at CAN, Nepal’s version of CES, you get to take home something useful – like the latest model of invertor. During CAN 2006, I actually bought a ProView Galaxy inverter at a substantial discount, and it’s still humming to this day. Unlike the Hyundai IntellyU UPS/Inverter (which I consider a piece of junk), which broke down a few days after the warranty expired, and even after repair, will now only power a couple of 14-watt light bulks for a few hours using it’s two huge 180 Ah Hyundai batteries. So as far as consumer electronics go, we don’t need new iPad slipcases or Internet connected refrigerators as much as we need electronics that power all these gadgets. Either that, or we need battery-operated devices that charge in an hour, and last for 18 or more. I was thinking the other day that a flat screen TV with built-in laptop-like battery might be marketable in Nepal, but then I remembered that the cable companies don’t provide full service during heavy loadshedding periods. So even if you have power for your TV, you can only watch an electronic snowstorm. “Just get HOME TV!” you say, as this new satellite service is not powered by cable relays along the route, but instead just beams the signal down from space, directly to a set-top box. Clearly this is the wave of the future, but as of today, I can’t recommend this service for two reasons: you can only have one dish per TV set, and the channel selection is no better then say Jawakhel Cable. Why HOME TV only rolled out 80-odd channels is anyone’s guess, as there are clearly more channels in space, and those should be offered to us as well. And while I am TV kvetching, let me just ask, “Where are the internet-connected TVs that others in the world enjoy?” Wouldn’t it be cool to have a Nepali-priced Hula-like service, where you could order movies and shows on demand for under a buck? Oh wait, that would require a broadband Internet connection faster then what most of us have at the moment...ok folks, just continue to get your knockoff DVDs down at the market for just Nrs. 30. However, it does seem extremely silly in this day and age to even be messing with DVDs that just play once - if you are lucky. 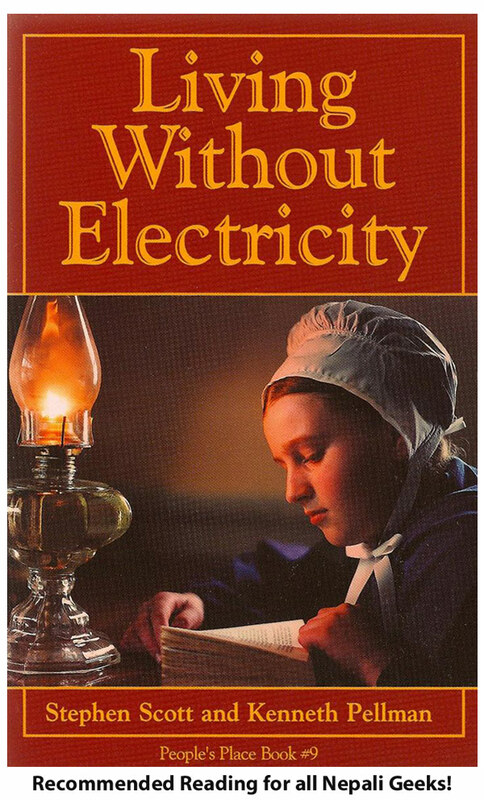 Many of my pals are telling me those Chinese portable DVD players are grand when the lights go out, but I just can’t wrap my head around the economics...why not just use your laptop? read more "TECH TALK: The Non-Report on CES 2011, and on Things More Relevant..."
Light Peak is new tech that you will see hit the streets later this year, coming from a joint collaboration between two giants: Apple and Intel. Light Peak will attempt to quell one of the most-often raised complaints from consumers: too many plugs and cables! Have you ever found yourself dumbfounded, holding two ends of a wire while trying to connect two high-tech computing devices? Of course, we all have. In most cases, it’s not because we are stupid, but the reason for our confusion is that we are often trying to put a square plug into a round hole. Light Peak claims it will fix our funk with computer connections by consolidating all connectors into one. One type of plug for your monitor, keyboard, hard drives, etc. and only one type of cable is what Light Peak claims to be about. And on top of that, all connections will be at optical speeds: about 10-20x faster then anything we have plugged into our home or office today. But other technology titans are coming up with another related idea to free us from cables, and that would be the rollout of wireless... everything! From flat screen monitors, to speakers, to media streaming servers, the “way of the wire” is about to die all together. We are already familiar with wireless mice and keyboards, and perhaps some of us are early adopters of wireless speaker systems – great for getting Jai Ho blasting into every room of the house – but get ready for nifty consumables like universal wireless charging pads for all of our daily dead battery items, such as our phone, camera, Bluetooth headphones, tablet, laptop, etc. etc. When Shubu Thapa (Nepali pop star) was asked what she would like to see happen in the futurama, she put it bluntly, “Make it better looking – to me, it all looks like toys for boys”. And unfortunately for the fashion conscious, tech gadgets today are awfully ugly to wear, for example, take those silly looking 3-D glasses they give you in the theatre. Expect that all to change with the advent of high-tech fashion accessories such as designer sunglasses with built in wireless music and video, as well as GPS directional displays so you won’t get lost while walking to the movie hall. And as far as watching 3D in 2011, scrap the glasses – you won’t need them. We are about to move from silicon-based products to ones made from graphene. Graphene is basically pencil lead, but just 1 atom thick, and in 2010 physicists Andre Geim and Konstantin Novoselov won a Noble Peace Prize for showing how this material can be used to make microchips thousands of times smaller than those manufactured today. That means that you will soon be able to wear the equivalent of your laptop on your lapel, or if you are building devices, you can fit about 20,000 of them on a wafer just a few inches in diameter. We are also about to start using life itself as a device. Doctor Yen-Hsun Su of Academia Sinica (Taiwan) is pioneering ways to fuse nano-sized particles of metal and other materials into living organisms, so expect to see a new crop of bio devices, like sidewalk trees that glow and act as lampposts to light the way. And the recent project iGem, put together by students at the Chinese University of Hong Kong, successfully stores about 90 gigabytes of encrypted data into a single cell of common bacteria. 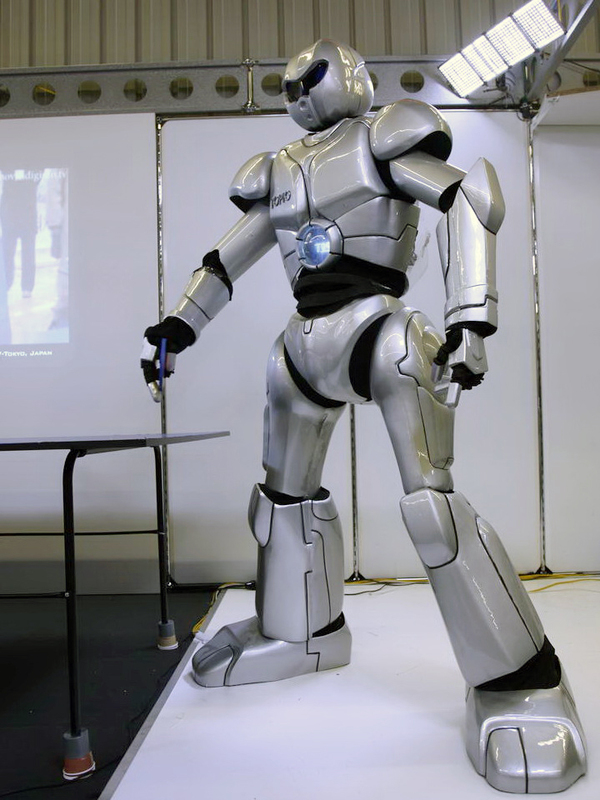 All of which is leading technologists to view that old fashioned 1950’s vision of human-looking metallic robots in a much different way. The robot we never actually saw materialize - is already fast becoming obsolete - as nanos and bios become built into many types of living organisms, including ourselves! And if we get sick from embedded data bugs, or take a wrong turn with our GPS Gucchi sunglasses and break a leg, the healthcare industry is forging ahead with innovations of their own that will help save us. Hospital biobeds are being designed that will monitor our vitals and administer medicine automatically, without the need for human intervention; and with products like the NASA designed AlterG Anti-gravity treadmill, our hip replacements will become much less painful and quicker to heal. Take for example last decade’s tech that was set to revolutionize the way we travel short distances: the Segway two-wheeler. That personal upright and electric scooter was looking good, up until the point when Segway CEO Jimi Heselden drove his right off a cliff. What a trip! read more "ECS: Futurama, A Trip into the Future of Tech"
We all touch them, enjoy them, and are all bound to own one soon (if we don’t already), but what is it – precisely - that makes a touchscreen so touchable lovable? Before we touch on that (pardon the pun), let’s first go back to the 1960’s, when touchscreens were just a pipe dream of computer engineers. Engineers and scientists were busy perfecting the cathode-ray tube for the then room-sized computers being built at the rate of just hundreds per year. Computers of that era came with monochrome TV-like screens, intricately paired with huge keyboards sporting clunky keys almost the size of small momos. It wasn’t until 1977, when Dr. Sam Hurst invented the 5-wire resistive touchscreen panel, that this vision of using a touchscreen to interact with a computer became a reality. Yet it wasn’t until 1983, when the HP-150 business computer surfaced, that anyone could actually put their fingers on a computer screen and make a dog bark, or do anything else as complex. In the meantime, the computer mouse had come of age and it seems that efforts to further develop the consumer touchscreen were sidelined. After all, one could just use the mouse to click on that dog and make it bark. So instead of manufacturers introducing multitudes of personal computers with touchscreen front-ends, that technology was relegated to public kiosks, cash registers, and ATM machines. Yet touchscreens were evolving elsewhere – mainly for specific and professional applications. Advances in digitizers, microprocessors, and materials, were all gathering in a perfect storm that would, for example, reward computer artists with touchscreen drawing tablets, freeing them from ink and paper by handing them a stylus and touchscreen to use instead. DHL delivery folks were given small tablets and stylus for recording delivery events, and so on. Then there was the really big shake up, as Apple Computers was doing something altogether different in their secret laboratory. They were developing a keyboard-less and mouse-less computer for the masses, and about the size of a small paperback book. The Apple Newton debuted in 1993 as the first Personal Digital Assistant (PDA), which was followed by the Palm Pilot in 1996, with the momentous popularity of the PDA building the stage for everything touchable that we see today: touchscreen netbooks, smartphones, iPods, tablets, book readers, hand-held gaming consoles, touchscreen monitors - all of it! On the front of refrigerators, on sides of digital camcorders, and on the face of our smartphones, we are all pressing what is called a capacitive touchscreen with haptics. Capacitive means that the screen you are touching is not much of a screen at all, but instead a field of electrodes that sense the change in voltage as your finger presses into an electrified field. 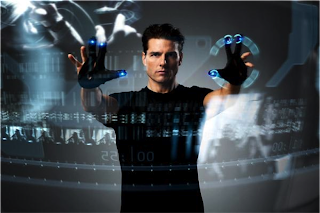 And haptics is just a fancy word describing the tactile feedback technology that gives us the feeling that we have touched a real-life looking object, when we have touched nothing more than a bit of thin glass and circuitry. For example, when we press the virtual keypad on our smartphone, we feel a slight vibration and hear a click. We get the sensation of pressing a real key on a mechanical keyboard, but in reality, it’s all high-tech smoke and mirrors. This combination of haptics, capacitive panels, advances in optical coatings (to resist fingerprints), and the very makeup of the human fingernail - is the “smoke” in the touchscreen mirror. The human fingernail, with its main makeup of keratin, makes our fingertip the perfect replacement for the plastic PDA stylus. Buffs of 1950’s Sci-Fi novels may recall Cordwainer Smith’s short story Scanners Live in Vain, where inhabitants of Smith’s futuristic world actually sharpened their fingernails in order to better operate their hand-held touchscreens. And if Sci-Fi is any predictor of where touchscreens are going (as it has proven to be), just revisit any of these three blockbusters: Minority Report, Avatar, or Iron Man II, as they all showcase the future of the touchscreen – in which you stand in front of a translucent material, and just drag and drop whatever you desire with the wave of both hands and with a little help from your voice. “Dog, just bark I say,” as you pet computer dog’s cute virtual 3-D head floating in near space. While we may have to wait a few years before the “screen” in touchscreen completely disappears from view, we can get in touch with the future of touchscreens by just visiting any modern television shop or computer showroom. All screens, touch or not, are becoming razor thin, and it’s only a matter of time before all that’s left behind is an invisibly-thin membrane that holds the miniaturized circuitry - wirelessly displaying text, graphics, videos and more, and all of that streaming from an equally invisible computer. read more "ECS: Getting in Touch with Touchscreens"
By far the hottest topic in the tech world this week is more of a political issues then a techno one: Wikileaks. But for those that don’t know what a wiki is, and have often wondered if a wiki could be in their own computing future, then this article is for you – even if you could care less about the hundreds of diplomatic embarrassments released this week as part of Wikileak’s latest: Cablegate. First, a wiki is a website with a special webserver application that supports the group editing of pages on the site. Most of us know of, or have used Wikipedia (an online encyclopedia of gargantuan proportions), but did you know that the “wiki” is the Hawaiian word for “fast”? But speed is not what makes a wiki website unique; instead, the collaborative opportunities to contribute does. For example, the reason that the Wikipedia database of knowledge is so vast is that there is an army of wiki editors hard at work (citation needed) creating, editing, and even deleting wiki pages 24x7. The evolution of any particular Wikipedia page is of interest, as it’s been said that this massive collaboration amongst a general population of writers amounts to “Darwikinism” – meaning that web pages in a wiki environment are undergoing a social Darwinian process, a natural selection if you will, and that wiki sites evolve over time to a higher plane as pages are deleted (killed off), content is revised, and new information is added. A wiki differs from a blog or normal webpage, in the sense that a blog is usually one person posting and everyone else commenting; a wiki is a place where the content is evolving and is not static, as with a blog posting. Another major feature of a wiki is that the pages are being linked with other related web pages, both by the software and by the editors themselves. For example, a wiki writer will often create a table of contents or index that links other related pages to their wiki topic. The wiki software is keeping track of all these links, so as pages are deleted or moved the indexes are updated automatically. This is terribly important, as no one wants to click on a link – ever – to only find a “404 error, page not found”. Another important aspect of a wiki website is that the content of site can be edited easily, even by grandma or bhini. A wiki page can be edited using one’s web browser of choice, with no add-ons needed. There is a simplified mark-up language that must be learned, but the language is much easier to learn then HTML, which is the standard language for all pages displayed on the web today. The [[US Government]] was embarrassed once again with the release of hundreds of secret/confidential embassy cables this week on Wikileaks. So a link to an existing page on the US Government is automatically created by just typing [[US Government]]. Formatting is also simplified, so that writers don’t need to remember, for example, how to make a word italic using the HTML tags <i> and </i> – they just surround the word in two single quotes like this: ‘’italicized word’’. But what does this all mean to groups, organizations, and businesses at large? Well, since wiki server software is abundant and largely open source, it means that any group of knowledgeable folks on any variety of topics, be it on a product or a social agenda, can easily start a wiki database of their own, and then share a living and growing knowledgebase with the world-at-large. Some samples of wikis started by normal folks like us include Wikituneup, an instructional wiki on how to fix cars, and A Million Penguins, which is a collaboratively written novel. Armeniapedia is an encyclopedia just on the country of Armenia, and Diplopedia is a private US government-run wiki that serves the US Department of State. Unfortunately for them, Diplopedia has been eclipsed by Wikileaks, which has made much of what goes inside that office public for all to read. So my suggestion to anyone wishing to share knowledge by setting up a collaborative website is to take a look at this wiki page: http://en.wikipedia.org/wiki/Comparison_of_wiki_software, which compares all the wiki server software currently in the wild, and also highlights which software is best used for a particular information-sharing purpose. 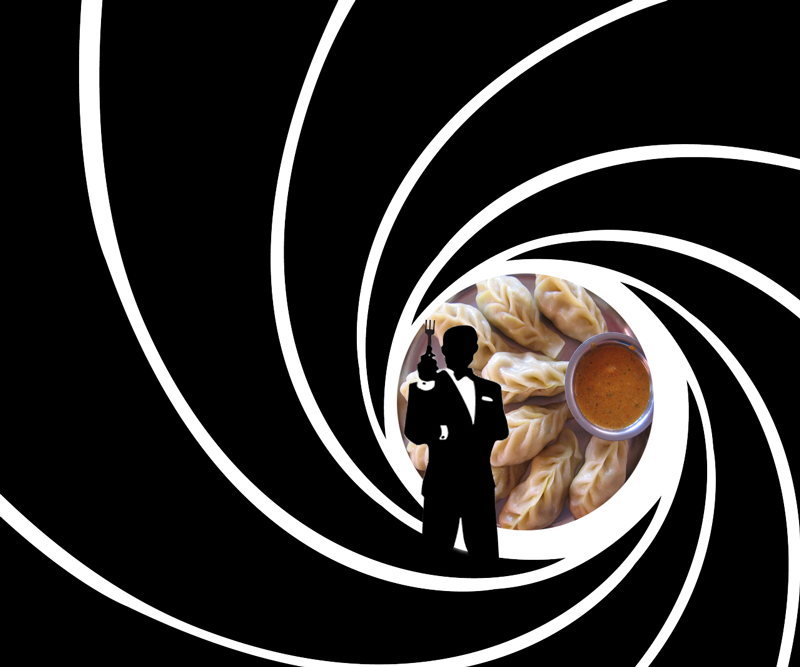 Whether you are trying to end the free world as we know it, or just want to create a collaborative encyclopedia on Nepal’s best momo recipes, there is wiki application out there just for you. read more "TECH TALK: The Wiki Behind Wikileaks"
There are so many apps for your Android or iPhone these days, it’s hard to choose what to download and what to forget about, but as a road warrior armed with a new smartphone, Firefox Home / Mobile is one app you don’t want to leave home without. Firefox Home for your iPhone and Firefox Mobile for your android phone are both brought to you from the makers of the #2 browser on the planet: Firefox. Both apps are free and simple to use. As a Firefox user, you probably have hundreds (if not more) stored bookmarks that make your life just a bit easier to remember, and perhaps you have the same tabs open everyday, waiting to do whatever it is that you do on the web. For me, its all the local Nepali English papers along with the NYT, which I read constantly while working on my laptop or desktop. But when it came to being out on the road alone with my phone, I found myself all thumbs with my iPhone’s virtually impossible-to-use keyboard, and stumbling just to type even my own web address, let alone the ½ dozen others that I can’t live without. That nonsense all stopped as soon as Mozilla released Firefox Home, and SHAZAM, all the bumbling ceased. Firefox Home/Mobile automatically syncs your stored bookmarks, open tabs, and website userids/password combos between your home or office computers, with your smartphone. Opening this app and clicking on a synchronized bookmark immediately takes you to the web page in question, no fuss, no muss - and no typing! No longer do you need to waste precious seconds on your NCELL or NTC data plan trying to figure out if it’s kantipur or ekantipur.com or the_kathmandu_post or the-kathmandu-post; just let Firefox Home or Mobile figure that out for ya. read more "ECS: Firefox Your Phone!" ECS 4 Outta 5 Barks for Soundhound! Have you ever started humming a tune but couldn’t remember what song it was? Then tune into the new mobile tune searcher - SoundHound App - for your iPhone, Android or Nokia phone. SoundHound is an easy to use phone app that can recognize your humming rendition of say “Hey Jude” as well as recognize your voice request to play “the Beatles.” It will also listen to the song playing on your phone and determine the lyrics, title, artist, and lots more. Sing Search is SoundHound’s flagship feature, and makes this app unique in the world of music search. Just “La La La” something into the phone, and SoundHound will try and figure out what tune you were trying to reproduce, and in my case, reproduce badly. As a tin-eared audiophile, I put SoundHound to the test: I started singing “Oh Darling” by the Beatles and got back choices like “The Other Side of Me” by Hannah Montana. Another try with “Roxanne” by the Police produced a list of songs that included “It’s My Life” by Bon Jovi, but nothing resembling anything by the Police. I finally gave up, and handed the phone over to my wife, a real singer, and she was able to belt out “Love is a Battlefield” by Pat Benatar, and get a hit in the results list. So Sing Search does work, if you can sing or hum better then I (which is assuredly the case). Regardless of your vocal ability, this app is great fun and sure to be a hit at any party. While you won’t find Shubu Thapa’s hit single “Eka Desh Ko Katha” (or any other Nepali tunes), SoundHound is audibly useful with a plethora of social features like What’s Hot on the Charts and Just Found by Other Users who are singing into their phones...with some level of precision. read more "ECS 4 Outta 5 Barks for Soundhound!" As an older Audio/Visual Engineer (ha! ), I’m often asked which external hard drive to buy, and what the heck are all those plugs in the back for, and what’s the difference between them. After all, quad-interface external drives are starting to pop all over town these days, yet many folks don’t understand what that means. A quad-interface external drive has plugs in the back for USB2, Firewire 400 & 800, and eSata. Most of Nepal’s users opt for USB2, as its what we know, but this option is also the slowest of the slow. 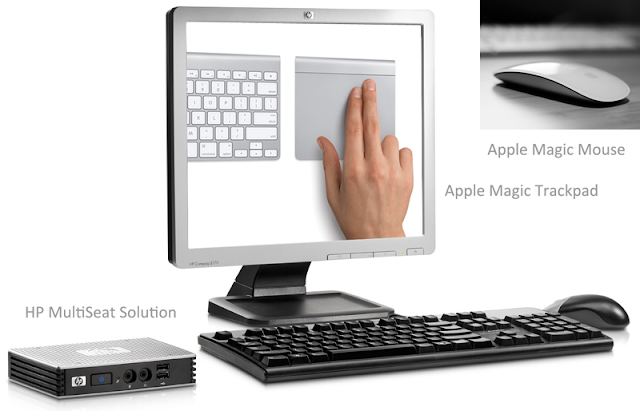 Mac users know Firewire 400 & 800 options, as they’ve been installed since the Mac Classic. But PC users may find they need to install a Firewire expansion card on their desktop or laptop to get the doubly fast Firewire 800 speed. Desktop Firewire expansion cards are easy to find and cheap in Nepal - laptop Firewire 800 expansion cards - not so. But even better then Firewire (at the moment) is the eStata expansion. An eSata-connected external hard drive will be almost as fast as your internal drive and 3x-10x faster then a USB-connected drive. When editing large video files, mega-pixel photos, and super hi-fidelity sound files, this is super mega important. To get eSata working with your desktop, you might need a cheap and easy-to-find eSata expansion card; but for your laptop, well, a bit more difficult to grab is an eSata Cardbus PC Card Type II card, found online for less then Rs.1000 plus shipping. So assuming you have one of these high-speed options installed in your computer (Firewire 800 or eSata), you just need the right cable for the job (usually included with the external drive). These multi-interfaced drives hit your wallet a bit more, but that’s bucks well spent if doing a lot of work with audio, video and 3D. A note to the wise: watch out for USB3 coming later in 2011, as that blows all of the above away. 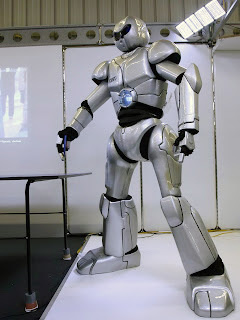 read more "ECS: Harddrive Plugs Explained..."
ECS: Why Not Go Play With Your CyWee? Not new to the Chinese gaming community, but new to Nepal, comes the SMC CyWee PC Game Controller. Looking much like a small hairdryer, this unique device can be twisted into 4 modes: Sports, Gun, Racing, and Action. The modes correspond to almost any “Z” game you can load on your computer, for example Tiger Woods PGA Tour, Pacific Heroes, Need for Speed, and X-Men Origins Wolverine all work under the corresponding modes. What makes this game machine “revolutionary” is that it does not require a separate console, but gives the family a Wii-like gaming experience without trying to find an actual Wii console with Wii games (difficult in Nepal). The SMC CyWee comes with software (works in XP/Vista/Windows7) that looks for supported games on your computer and sets everything up, so that when, say, it’s time to shoot a bad guy, you just point the CyWee at your computer and fire away. Playing golf and tennis has never been so easy, as you don’t even have to find a caddie or tune your racket - its just a matter of plugging the USB dongle into your PC, and then grabbing and swinging this hairdryer-looking gizmo around, depending on the game selected. For those that want to know what’s under the pleasant-to-hold plastic casing, there is a two-axis gyroscope and 3-axis accelerometer that react to all of your body motions. This device also works as a 3-D mouse, if you ever need one. If you haven’t seen one at play in Nepal, you can head on over to Logix Computer on Putalisadak to play around. Shop Owner Sandeep Agrawal tells me that you don’t see many CyWees in the wild because the marketing in Nepal is off. So I’m left wondering, where in Kathmandu can you find a gaming shop? Note: Z-compatible PC Games can be found at any open air market table around town. read more "ECS: Why Not Go Play With Your CyWee?" TECH TALK: Time to Get Your Photos and Videos Online? When I browse any laptop in Nepal other then my own, I notice one glaring attribute: photos and home videos are everywhere – on the desktop, stuffed in folders named “Aardwolf photos” and “Zamboanga videos” and almost everywhere else in between. As a neat freak, that drives me nuts, and I cringe every time I go to update my wife’s MacBook, as I have to plow through media dating back to Cretaceous Period of our married life, just to do what needs doing. Granted, everyone has their own homegrown filing system for stuff on their own computers, but are you really happy with yours? The file-folder paradigm works (perhaps) when you have a few hundred word-processing documents and that’s it. But when you are dealing with thousands of photos and videos accumulated from years of birthday parties, holidays, babies and puppies - and you have stuff both on your PC, on YouTube, Facebook, and other social media sites - using your computer’s native file system quickly becomes unmanageable. Anyone with years of accumulated media is sure to agree. Computer manufacturers understand your plight, and most provide you with tools to bring your photos and videos back into a manageable reality. Take for example every Apple computer, which comes stock with iPhoto for managing photos and videos together. iPhoto is a fantastic bit of free software that 1) organizes all your media in one place – complete with auto imports from cameras and other devices, 2) allows you to do some basic photo editing, and 3) gives you a media connection to three social media sites: MobileMe, Facebook, and Flickr, so you can easily share your media with the rest of the world. Unfortunately for PC users, iPhoto is Mac only, and the free photo/video organizer that comes in Windows 7 is limited in features and flat out worthless. Windows Media Center allows you to organize your photos and videos with tags (searchable identifiers) and by ratings (where you give your item 1-5 stars for quality or not), but your files are still sitting somewhere within your file system, as scattered and as chaotic as ever. Media Center also does not offer any of the features that you really want: easy backups, easy searching, upload to Facebook-type sites, and some simple editing. To get those features in Windows, you have to download something, and to get something really fantastic, you have to actually go out and buy something. For Windows users, the free Picasa from Google is your best choice, and caters to those on a tight budget and who really want to do a lot more with their photos then look at them once and then lose them. 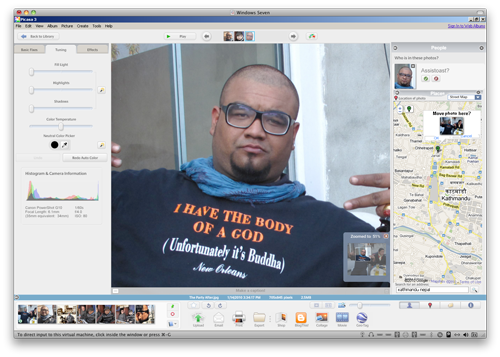 Picasa is equal to the Mac’s iPhoto, and while a bit daunting to use at first, it’s really a nice piece of software that will help you take control of your photos and videos. I am primarily an Apple user, but what I like about Picasa on the PC is the deep integration with other Google products, like Google Earth and YouTube. Geo-tagging your photos and uploading your videos to YouTube is a snap. Creating albums online for sharing with others is also painless, as is doing some sophisticated photo manipulations by just pointing and clicking on the healthy toolkit of options available in Picasa. Backing up to CD/DVD is a 1-2-3-click operation, and there is a display simulation (to see what your photos look like on other devices) that is unheard of in any free application. However, your photos are still scattered to the four winds on your hard drive, as while Picasa does a great job finding all of your stashed stuff, it does nothing for you once you leave. To get that level of “professional” management, you have to either buy a Mac - or buy some PC software. For PC users, the purchase de jour is Adobe Lightroom 3, but not much of a steal at the hefty price of USD $299. However, if you are a professional photographer, this is the bread for your butter. Lightroom, like it’s equivalent on the Mac called Aperture (USD $199), creates a true catalogue of your media. And with a true catalogue, you can do wonderful things. One such wonder is the ability to create different versions of your photo using sophisticated editing tools, but still retain the original photo side-by-side with your edited versions. This feature is called “non-destructive” editing, and is a must for anyone serious about photo manipulations. Both Lightroom and Aperture allow you to do more with your photo library then ever possible with Picasa or iPhoto. For example, you can create coffee table-sized photography books and get them printed professionally online, as well as produce photo websites and full-featured slideshow movies, complete with your favorite audio track. Lightroom also has “tethered shooting,” which is where you hook your camera to your PC and make technical adjustments before you press the shutter button. But for me (and hopefully someday for my wife), these two professional-grade applications ensure that no photo or video is ever lost, or further away then typing a simple keyword into a search box. After all, that wedding photo where I have tika sliding down my nose is after all, priceless, irreplaceable, and if using one of the tools discussed, just a click away. read more "TECH TALK: Time to Get Your Photos and Videos Online?" This week I thought I would blather a bit about web publishing and competing with the big boys in that domain. Since I’ve just spent an entire week locked in my cubicle, head down in manuals and filled with strong coffee, the act of creating a dynamic website has completely clogged my brain - it’s all that I can think about! A “dynamic” website is often called a CMS, which stands for “Content Management System” - which is just fancy web lingo for a website that can do a lot more then display some “static” text and images. If I’ve lost you already, hang on; I’ll get to Facebook in a minute. Today, all business and large organizational websites are dynamic, which means that the pages are created on the fly, depending on what link or button that you click. The actual content is stored in a database (most likely MySQL) instead of living in HTML files, and these sites go far beyond what a typical ‘90s website could ever do. Take Facebook for example. In Facebook, you can see status updates from your friends in real-time, meaning that your Wall is being populated with your friend’s updates about new babies and Farmville activity every second of the day. This is all accomplished under the covers using one of today’s modern web authoring tools like Drupal, Joomla, or Wordpress. Social networking websites like Facebook, Flickr, Bebo and the now fallen-from-grace MySpace, all use a sophisticated CMS under the covers to provide the cool features that we (as users) are becoming accustomed too: like hitting Like and Dislike buttons, or being able to watch the tally rise on how many friends we have garnered in just one day on Facebook. One might think that back at FB headquarters all of this is accomplished with a heavy lifting of programming code, but not so. Nowadays, modern open-source CMS systems are available to anyone who cares to download the modules, set them up, and produce a dynamic website on their own. You don’t need a degree in programming (although that never hurts, even if you run a cold store). Why you or your business might consider doing this is two fold. First, sites like Blogger.com, Facebook, and MS Small Business Online literally own your information, and while these sites proclaim your privacy is protected and your data is secure, no one in the industry really believes it. Most businesses and many private citizens feel that the only way to protect and secure data is to run websites from their own webservers, just as they have done successfully for decades. Second, having a web presence on a Facebook or on an Ebay is limiting, both in the design of the site and in what content that you can post. Rolling your own website is still preferred by folks serious about web publishing. Take for example professional photographers, who find Flickr and Photobucket far too restrictive on how they can present their work. Even videographers find YouTube restrictive, as nowadays you are limited to just 10 minutes and so many megabytes per video posted. So using a CMS to build your own mini-Facebook or Flick for business or pleasure gives you total freedom - to do whatever the heck that you want, and to make your site “look and feel” as you want, yet have no web overlord imposing rules over your publishing (or selling your vital info to others). But freedom and security come at a cost - as anyone knows from our political system - so expect a small price due when creating your own content management system. First, you need a web hosting provider, that’s a given, but there are tons out there for just a few thousand rupees a year. Domain names such as HYPERLINK "http://www.yourname.com" www.yourname.com are just Rs.750 from folks like godaddy.com and many others. With just these two items, you can now download Drupal, Joomla or Wordpress building blocks, and off you go constructing your own Facebook or Flickr. As someone who just did that this week, here is my advice to folks just starting out: prepare yourself for lots of reading re: the tool that you choose. While the major CMS tools mentioned advertise “no programming needed,” you will need to understand how a Drupal or Joomla does what it does – before your begin. Next, do download a manual or two on PHP and MySQL, then let your eyes glaze over for an hour or so (at least). While you will mostly be installing pre-built modules of functions, you might have to edit a few php files and do a little tweaking now and then. 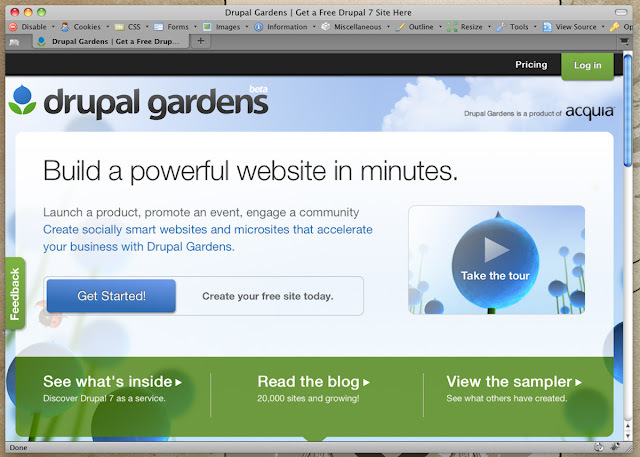 For eye-popping visual appeal, in case you are not a Photoshop design wizard, consider using a site like drupalgardens.com, which headlines “Build a powerful website in minutes”. And what they say is somewhat true; it took me just 4,800 minutes to get mine working. But it was two weeks well spent, as I caught a glimpse into the future of web publishing, which just like desktop publishing of yesteryear, will give any normal individual with a bit of gumption and spitfire, the ability to play with the big boys on the playground of publishing. read more "TECH TALK: Playing With The Big Boys of Web Publishing"
I don’t know about you, but I am a total wire dyslexic when it comes to any kind of wired tech – just look under my desk and you will find a jungle of power cords hopelessly tangled into small piles that smother the power strips like octopi consuming small fish. The top of my desk is no better, with USB cords, Ethernet cables, and gizmo wires snaking dangerously about from one device to another. So the last thing that I want hanging off my body and around my neck is even more gizmo wiring. In this light, I decided to go with a Bluetooth headset for my new smart phone. For those of you who don’t already know, Bluetooth technology has been around for over a decade, and if you have bought your phone in the past 2-3 years, you already have it built in. The only thing you have to worry about when shopping for a headset is if the set has Bluetooth Version 2.0 and an A2DP profile. These two tech items I will cover further in the future; but for now, you just have to look for those specs in any headset that you purchase. Before purchasing a Bluetooth headset that would cover all my bases (for calls, as well as for music and games) I did a bit of hands-on research and testing. I found these factors to be the clinching issues: 1) stereo sound quality, 2) comfort and fit of the headset, and 3) battery life. Secondarily, I considered the “Dork” factor of wearing something that could make me look like an Indian Call Center worker on lunch break - this expat just wants to somehow blend in. Now there are hundreds of headset choices on the market, but the number of choices is cut down dramatically if looking for quality stereo reproduction. Most headsets on the market are mono, meaning they fit into one ear and one ear only, and have no way of ever reproducing good quality tunes. These are mostly an over-the-ear fit, some with an extending microphone boom - adding dramatically to the dork factor. So instead of 1 dorky looking earplug, I was now looking at 2 dorky plugs. And as these in-ear devices have to hold a battery and sometimes the controls as well (stop, pause, take call, etc. ), they can be quite uncomfortable to wear for longer periods of time – which in my case is all day and well into the night. Only one headset I found looked something like the headphones that I use in my recording studio (over the head and with ear-cups), and that was the Jabra HALO (Nrs. 9,600 list price), which fits like a traditional stereo headphone but is small, foldable, and stylish, and without a protrusion for the microphone. Unfortunately, it’s universally agreed upon that this unit is a piece of junk, so I’ll just stop there. For those that can handle an over-the-ear and around the back of the neck headset, then the Plantronics Backbeat 906 (Nrs. 9,600 list price) may be a good option, but after reading reviews and trying it on for size, I can’t recommend it for those with an active or outdoor life. This device fits above and into both ears, supported by a behind-the-neck brace, and has acoustics made by Altec Lansing, which are very very good. However, there are tons of online reviews out there complaining about moisture and sweat ruining the headshot when used as a workout device, or outdoors during monsoon. Alternatively, the Motorola S9 (Nrs. 7,400 list price) and Nokia BH-505 (Nrs. 7,400 list price) are similar in design to the Backbeat 906. The Nokia comes in S-M-L sizes, so finding one that fits and feels better over the long term is possible, but finding this unit in Nepal may be more of challenge then finding the right head size. Sony also makes many models, but the only one I considered was the Sony Ericson HBH-DS200, easily found here in Nepal. It looks and works like the wired version of the headset that comes free with most Sony Ericson music-playing phones. List price is Nrs.7400, but can be found for much less, and this set uses a standard earbud configuration with a clip-on controller. It’s a bit awkward having this added bit to clip on (somewhere), and the sound quality for music and gaming is just “acceptable” (unlike the Back Beat’s very clear highs and very low booming bass). But one advantage to this config over all others is that you can plug in any earbud into the controller. So if you are not happy with the Sony supplied earbuds, or they break as they always do, you can just plug in another set from a better manufacturer - like Sennheiser. However, I read many times online that the battery life was less then average for this model, which should be between 7 and 10 hours before recharge, and not the reported 3 or 4. 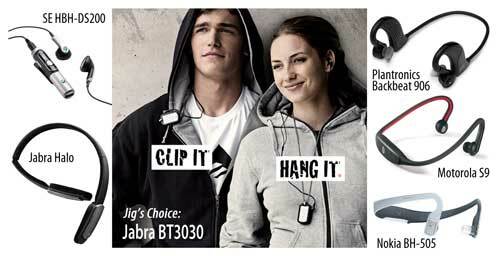 By now I now knew what I really wanted, and found it with the Jabra BT-3030 (list price Nrs. 5,800). This device, like the Sony Ericson, comes in two parts. The controller is made to look like a fatter military-issue dog tag, complete with metal chain to hang around your neck, and the other bit (the headphones) can be the supplied Jabra ones (top notch, very comfortable, and of great quality) or any headphone of your choosing. This excited me (as I own a set of Sennheisers), and what excited me even more was that when using this device, I could pair the unit with not only my phone, but also with my laptop or desktop - both at the same time! So now I have a mobile headphone set that I can use around the studio to listen to my huge iTunes music library playing from my computer, and I can also answer all my calls - all at a reasonable price. read more "TECH TALK: Beating the Mobile Headset Blues"
I rarely say anything nice about Nepali websites, but I think it’s time to give credit where credit is due. I discovered two cool sites the other day, and was pleasantly surprised with how non-Cybersansar-ish they are: Harilo.com and Payway.com.np. Both these sites share two important traits; they are both simple in design and rich in usefulness. Harilo, an online “shop-in-America” site, was reviewed in this paper back in April, but just in the past month or so has started to catch on(line). Harilo.com is now getting over 3,000 visits each day, and as for the shopping activity, well, just see for yourself by going here: www.harilo.com/latest. Folks are buying laptops, guitars, phones and even furniture. This is how it works: you order anything you want from America by just finding the online sales link (URL) for a product. For example, go to Amazon.com and pick out a product, and then paste that URL into Harilo. Your account is created instantly, as well as a promise of a quote that gives you the total Nepali price of the product shipped to your door here in Nepal. I tried it out for a fancy USB microphone I need for my podcasting work (USA Price: Rs 7,674), and within 17 minutes I got back a quote from Harilo for a total cost of Rs 9,250, which reflects no domestic shipping charge (as you can pick up shipments at their Kantipath office) and just Rs 512 for international shipping + Rs 1064 VAT. Payment options included using a PayPal, Google, or Amazon account, as well as a VISA/MasterCard. Heck, you can even pay by old-fashioned cash or check! Harilo shipping costs vary by weight, of course, and Customs may slap duty on certain items (for shoes it could be as high as 20%) and some items can’t be ordered at all (firearms, drugs, etc.) but this has to be the best way to get products from America to Kathmandu - short of having cousin-brother Samir fill his carry-on bags on the way home. Two thumbs up for this site on usefulness, and for a clean uncluttered website design - complete with social networking features (connection to Facebook, avatars, and all of that). Another new site worth praising is www.payway.com.np. Pay Way is the Nepalese version of the famous Paypal.com, which allows users to send and receive money online, shop online, and to also create a Nepali gateway for their own online store. There are very moderate fees associated with transactions, but compared to PayPal, they are very reasonable. Having a Pay Way account is your way to pay for goods at any website incorporating the Pay Way gateway (the list of merchants is rather small right now, but sure to grow as more merchants discover this service). Pay Way says they will soon offer other services, like a debit card for department store shopping and connections to dozens of international banks, so stay tuned on that front. Important to note: this is a BIG leap in tech here at home, as now Nepal’s merchants can easily jump on the online bandwagon, and accept Pay Way payments from Nepali customers who want to shop from their living rooms and offices (like everyone else in the free world is doing). After finding this site, I began to feel like I was living in the year 2010, instead of 1950. And like Harilo.com, www.payway.com.np is designed clean and clutter-free, with an interface that your hajurama could understand - if only she could master the mouse and keyboard. Besides these two new sites, there is one favorite of mine that I want to share, and this site is for the coffee lovers here who want fresh roast at a great price, delivered right to your front door. Topoftheworldcoffee.com is not a fancy nor perfectly designed website (reminds me of a typical NGO website), but it’s lack of glitz and polish is made up by owner Dale Nafziger’s dedication to service and quality. They deliver over 1000 kg of fresh coffee each year to Valley denizens, and you can get beans of any type – even organic. You also get great prices compared to the local market (trust me, I drink alotta joe). And on my last order, I even got a free coffee cup! You pay when the delivery arrives, often to Dale himself, and if there is ever a problem with your order, this company will bend over backwards to make it right. But what I really find right about Topoftheworldcoffee.com is that you can have the best organic homebrew - without every leaving your front gate. YES! Now when merchants like Topoftheworldcoffee and Harilo get together with payment gateway providers like Pay Way, you are going to see a radical change in the way that we shop here in the Doo. Instead of slogging through monsoon mud to get our necessities and niceties, someone else will be doing the slogging and delivering those items to our homes and offices. Our personal accounting will be online and accessible, and we will truly be part of the consumer revolution taking place elsewhere in the world, where consumers are discussing their purchases, rating their experiences with vendors, and overall becoming better and even more intelligent shoppers. read more "TECH TALK: 2 New Nepali Sites, and One Old Favorite"
TECH TALK: Are U a MAC, or Are U a PC? In this introductory blog post on tech, I decided to pull out all the stops and start with a new-age (but old) controversy, ru a mac, or ru a PC? Up until a few years ago in Nepal, it was not even a question. But now this question is relevant, as the iPod generation has established itself firmly within the KTM valley, where even Samir, an older local cab driver hanging out in Bagdol, can be found ear-plugged in and iTuned out all day long. These dilemmas have not bothered the typical Nepali in the least...perhaps up until now. You tell me. Are you debating with yourself over your next college or business purchase...should you get a Mac or go cheap with a new netbook instead? Years ago when I first arrived in Nepal, I was toting a huge Sony Vaio, bought just for my travels in Asia, thinking if I ever ran into trouble, at least I had a prayer of getting parts and new software for a Microsoft-based computer - vs. having something Apple and no hope of finding the software I needed at a Nepali Department Store. My logic turned out to be horribly wrong about the hardware, as when my Vaio did break within the warranty period, I got no relief from the Sony shop on Kantipath, or anywhere else within the Valley. So I turned to Digitek in Durbur Marg to purchase some inexpensive no-name Singaporean import for half the price as any Sony or Acer replacement, and surprisingly, I got much better service there - better then if I had stayed in America with a Sony. So it was years ago in Nepal: cheap computers, and anybody would try to fix something broken, using baling wire and duct tape as they say. There was not much justification in the minds of my local friends to buy anything more then barebones, Chinese, or just the flat out cheapest computer on the market. And we all know how cheap software is down at Kasha Bazaar. So the question was a non-issue, until today - this I propose. Look, I already have a few jet-setting Nepali friends who have made the jump to Apple, perhaps not for practical reasons, but instead to look cool at Bakery Café whilst sporting a new aluminum Macbook or MacBook Pro and sipping a coffee drink. No viruses. We have not had a single virus cause trouble on our Macs. No down time, no reformatting, no pulling your hair out, or no embarrassing moments with a client when a virus warning suddenly pops up. And we even run Windows XP and Windows 7 on all our Macs, with no problems there as well. Another reason we are saving money is that our investment is still running strong, still valid, and still relevant tech-wise. A dual-core Macbook Pro with 4gb RAM and a decent-sized hard drive rivals any workhorse workstation bought on Butterfly Road. We use them for even the most grueling of work, such as audio and video production. So if you are seriously shopping for a new computer, I highly recommend looking at the Apple line up: Mac Minis, MacBooks, MacBook Pros, iMacs, and heck, even the new iPad when it becomes available in Nepal. You could actually save pisa (over the long haul) and look cool - all at the same time! read more "TECH TALK: Are U a MAC, or Are U a PC?"